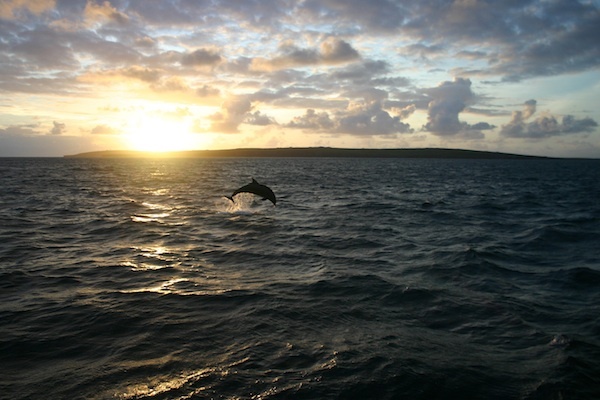 During the month of June, we offer Sunset Cruises at the Mouth of the Shannon. 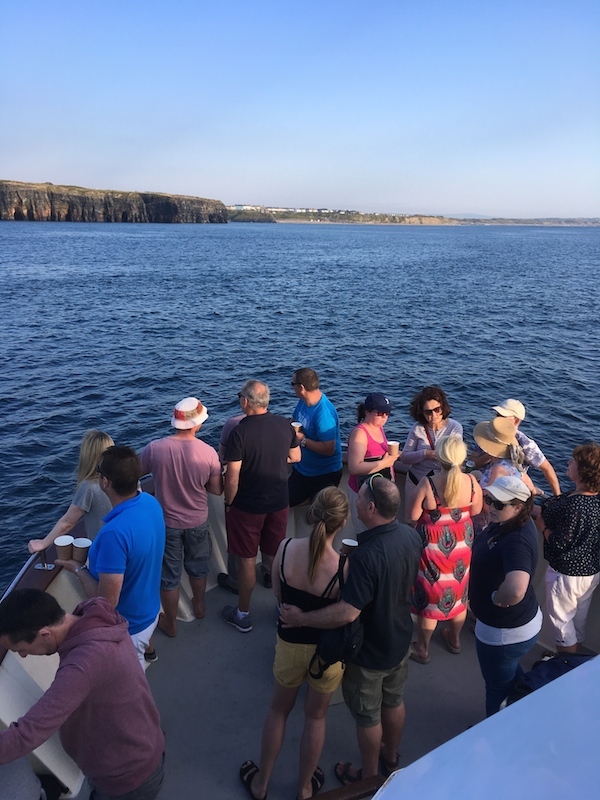 Imagine a beautiful mid-summer's evening out on the water on a classy boat with great people touring magnificent cliffs and taking in the wildlife and beauty, while sipping a glass of wine & nibbling on delicious tapas, catered by the Long Dock Restaurant, Carrigaholt. 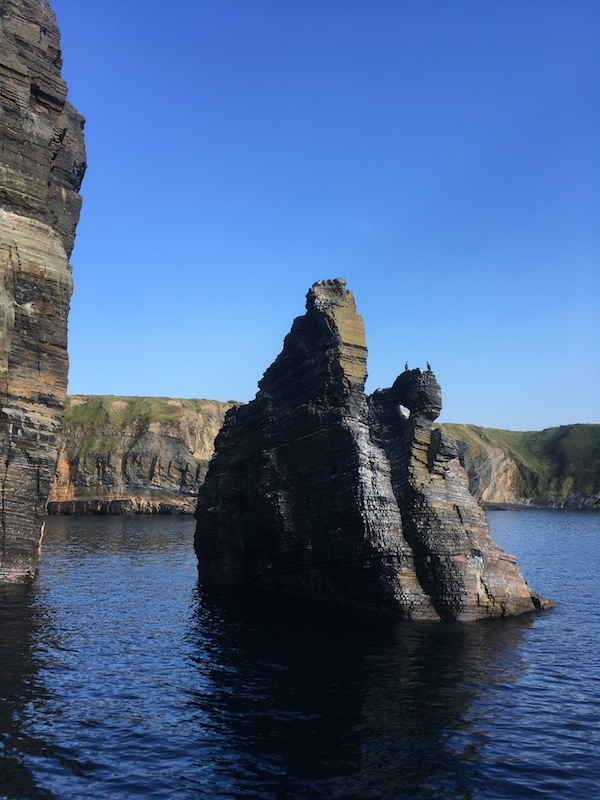 It's a trip to remember with dolphin watching, nesting sea birds, stunning cliffs and sea stacks accompanied by first rate traditional Irish Musicians - Craic agus Ceol! 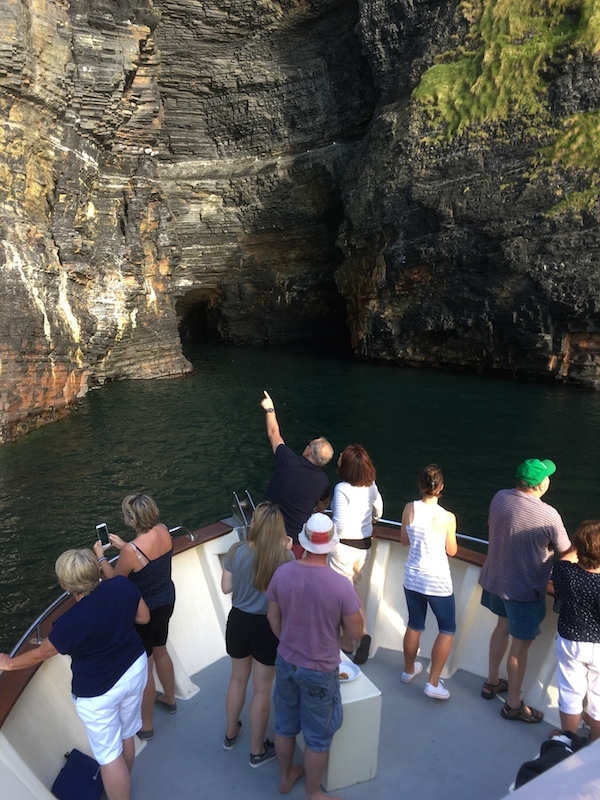 We will advertise this trip as soon as one is planned. 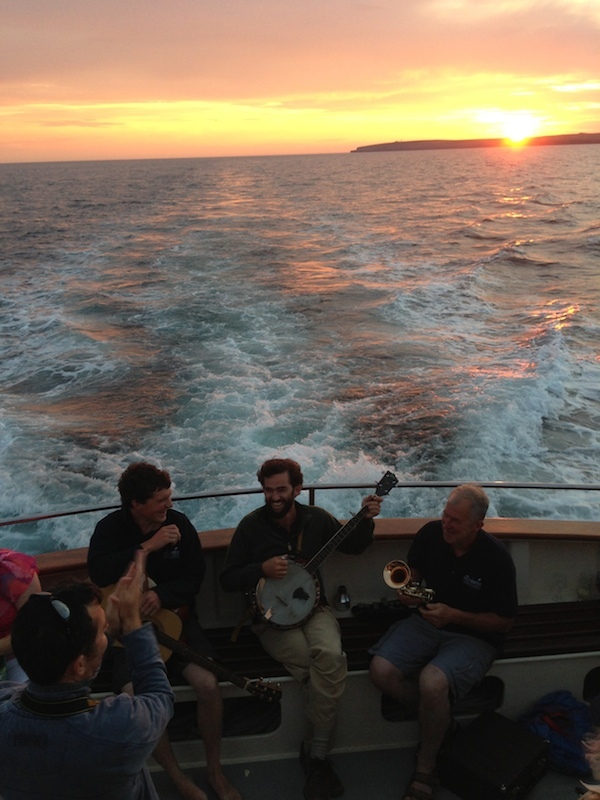 We will do as many as we can, on Saturday evenings in June, depending on the weather. Tickets are limited so it is advisable to book your places in advance.